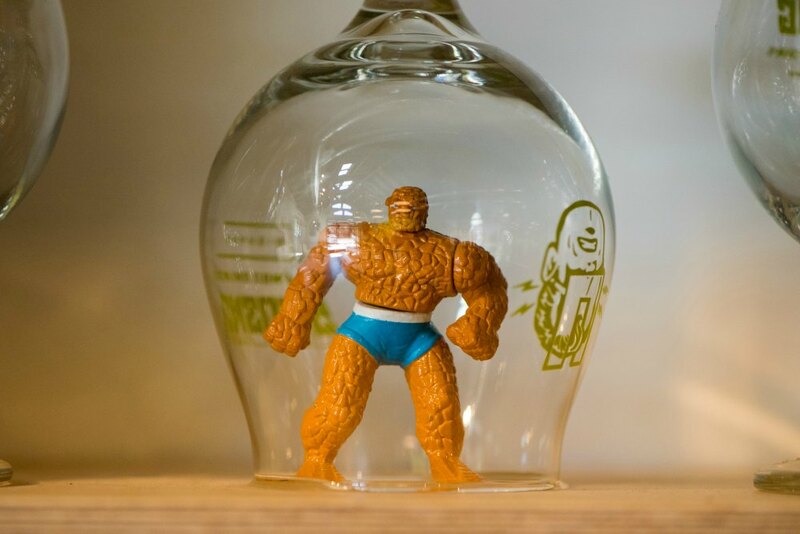 Fresh from saving the universe from certain doom, a stop into Anaheim’s superhero-worthy beer tasting room to unwind is a must. With the beer signal still shining high in the sky, sharing some suds with my fellow warriors after a hard day of fighting evil is also, a must. Bellied up at the bar, I’m greeted with Unsung Brewing founder’s world of beer heroes; Buzzman, Troglodyte, Anthia, Naturia, and Propellerhead, each beer full of as much character as the story behind each one. The story: The hero Troglodyte came about when one man was lost in a mine in France, fell through a sinkhole and was stuck in a cave for months. His body slowly fused with the surrounding rock, somehow finding a way to survive by extracting the minerals from the rocks for nourishment. He became very large (HULK-scale, perhaps 12+ feet tall) during this ordeal, and his body is peppered with rock shards that concentrate at his joints. In the glass, Troglodyte is a rough and tumbly Belgian-style ale, where notes of bubblegum and banana shine through a wheat and oat-cloudy base. Done in the grisette style, the beer is quenching in nature, enough so that if I were working in a mine, this beer could shake the coal off my rock hard bones. 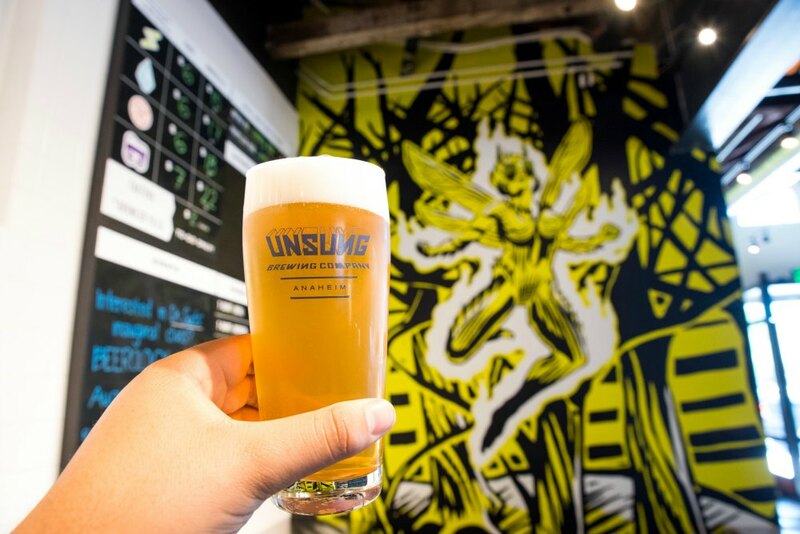 Naturia, Anthia, and Citrique make up Unsung’s hoppy-heroes, which are done quite perfectly for a new brewery. Each bursting with fresh hop aromas, these beers set the tone early on for what kind of brewery Unsung was going to be. Bright, aromatic, clean, and approachable is the name of the game. 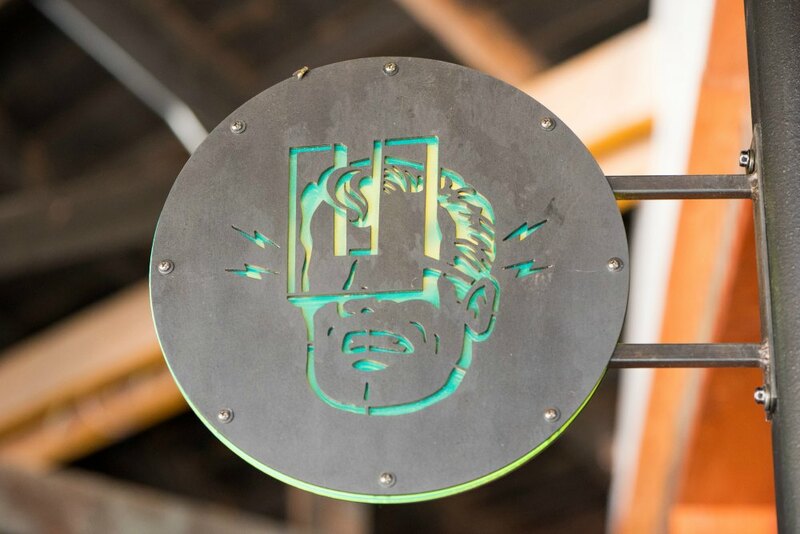 As the first tenant in the MAKE building at the Anaheim Packing District, Unsung Brewing is full of originality. 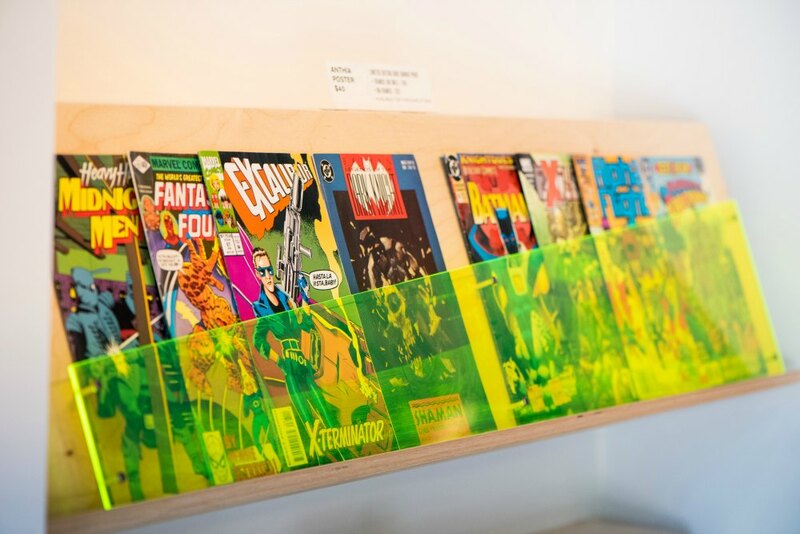 Featuring a comic book wall, owner Mike Crea’s personal collectibles, and of course life-size murals of the characters that make up the super-strong brewery, Unsung is a must-stop for any fan of comics and superheroes. Created in partnership with Visit Anaheim.